GoPro users that are interested in creating 3D GoPro footage might be interested in a new lens adapter that has been specifically created for GoPro action cameras called the Vitrima. What securely fitted onto the front of your GoPro Hero 3 or 4 camera the 3D GoPro camera lens allows you to easily capture 3D video footage. Watch the video below to learn more about how easily a GoPro camera can be converted into a 3D video camera. The developers explain a little more about Vitrima, which is launched by Indiegogo and is available to back with pledges starting from just $59. How do I record with Vitrima Lens? Simple, just attach Vitrima Lens onto your Hero 4 or Hero 3 GoPro Camera and record like normal. Which GoPro Cameras does Vitrima Lens work with? 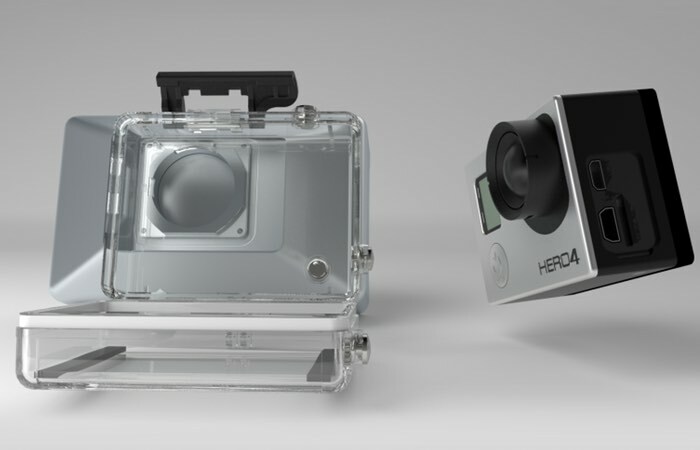 – Right now we have models for the Hero 4 and Hero 3. More could come out in the future, but we don’t have any news on that right now. How do I watch the videos? – You’ve got options. The best way is to watch the videos on your phone through a 3D headset. We made a video that explains. You can also upload you videos on to YouTube and check the 3D option. Then YouTube automatically will make your videos into the red/blue 3D (old school is cool school). Jump over to Indiegogo to make a pledge be one of the very first to be able to capture 3D footage using your GoPro action camera.